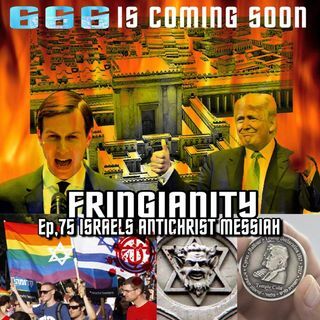 In this episode I take a deep truthful look at Israel and the Unholy things happening in the holy land. I expose the Tel Aviv gay pride celebrations as well as key Zionist Jews who straight up say they don’t call Jesus messiah but they are awaiting their own messiah. In the Bible he is called the antichrist. I also look at the trump ties to Israel and Jared Kushners dark secrets and his Middle East peace plan. We truly are getting close to the revealing of the antichrist as Israel moves closer ... See More to building the 3rd temple of revelation. I see your frustration but just because we support ministries that are in Israel doesn't mean we support the Zionist movement in Israel. I oppose the sinful movements going on in Israel but I support many ministries in Israel that promote and preach the gospel of Jesus Christ. We must simply bless Israel. Not agree with everything they do. We must pray for the peace of Jerusalem not agree with their depravity. I abhor the sinful assemblies they put on. Many Israelis are coming to Christ and that is where I focus. The things I detest in Israel I give no time and strength to.